This online platform lets customers sell their old gadgets at best prices. No, you no more need to worry about your used gadgets that are still in good condition. Cashify is the best destination for all the gadget lovers who keep on changing their devices. 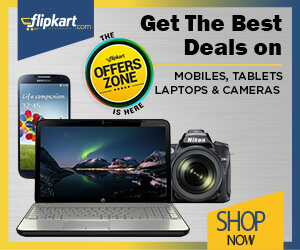 Selling your old gadgets and getting instant cash is best offered at this online portal. You can easily sell your used mobile, laptop, desktop, tablet, iMac, gaming consoles and TVs which in return will offer you with the good amount. This 100% guaranteed platform is admired for the hassle-free process, free device pick-up, Instant cash, satisfied services and assured sale. Successful in satisfying over 415 thousand customers, Cashify is admired for its fast and instant services. Associated with online stores like Amazon, Croma, Google, Ezone and eBay this online platform serves best services. For sending your items in bulk you need to inform them through your emails and enjoy your sale with instant cash. Are you worried to sell your phone? Visit the store and sell your old phones in just 60 seconds. Hurry to avail this offer. Book with confidence and get up to 40% off on mobile screen repair at the doorstep. 7-day money back guarantee and 6 months warranty also available. Check out the offer page for more details. The party's on your phone! Sell it and have a blast. To get Rs.200 off use the given coupon code at final payment. Hurry to sell now to enjoy the deal. Headquartered in Gurugram, Cashify, which comes with the exclusive idea let it customers sell their old gadgets online from the ease of their home. Successfully served 529 thousand happy users, 589 thousand gadgets enchased and 397 crore cash given, this leading online destination let its customers convert their device into cash. As the continuous development in technology insists us to change our gadget with approximately every new launch, Cashify offers reliability to such technology lovers to sell their product with just a few clicks. Now you no more have to worry about that whether your gadget will be sold or not? Cashify assures you with the sale of each item at reasonable rates. The gadgets that are eligible for sale on Cashify range from the laptop, desktop, iMacs, TVs, gaming consoles and mobile phones. The amount of the selling product depends on the current condition of your device. Log into the website and select the product you want to sell or purchase and get yourself choose the price for your sale. Being admired for the instant deliveries, guaranteed price, hassle-free experience, home pickups, instant cash delivery and satisfactory services it is one of the most admired platforms that comes first in the customer list. Fluent, seamless and convenient experience. Free pickups of the device right from your doorstep. Keep each customer’s information confidential which make them feel comfortable and secure while selling their products. Expeditious cash delivered to your doorstep by choosing your choice Payment mode. Using the Cashify coupons customers can save much to their pockets and make a big deal to you. Being partnered with this stores such as Amazon, Croma, Google, eBay, eZone, Snapdeal, Oneplus, Infibeam, HP, apple are just a few others, this exclusively designed portal assure its customers that their product is going at the right place. Cashify coupons that are available free by the number of online portals let you earn extra money while selling your product. Letting customer schedule pick up according to their convenience, this online portal deals smartly with each deal it makes with its customer. Further, its mobile app will let you easily sell your products and beastly hosts features like boasts other features like Anti-theft, Phone Booster, Data Transfer and Repairing Request Services that help maintain your devices for a longer time. Apart these using referral codes and other you can save smart deals. Contact Information - For your queries and information regarding products contact them at +91-7290-068-900 or email them at support@cashify.in for your customer queries, service issue, and assistance.